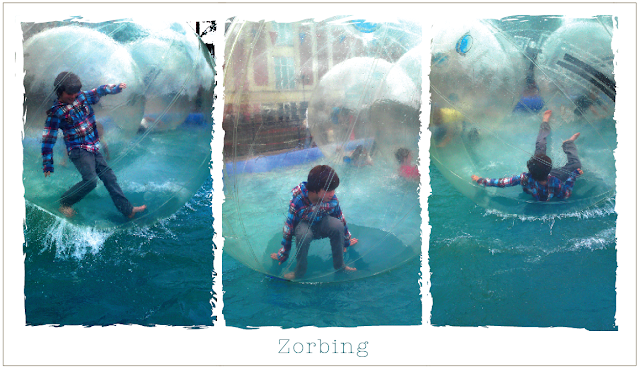 hamster ball bobbing on the water. I just wished there was a mummy-sized one so I could have joined in............! A friend of mine did it and was sick but it continued to roll and roll......eurgh! very red face when he was removed! I'm getting 3 for next time I have Fin, Sadie & Lu in a Travelodge! Eeeeeee what goes on in the Travelodge........! I would definitely have to have a glass or three before they zipped me up in a ball and chucked me on to the water........I really want to do it!